Day five of “one leg of lamb, five meals”. So this morning we chopped up the last pound of lamb and stewed it with onions, garlic, the carrot and potato trimmings from yesterday’s turned vegetables, a pinch of crushed red pepper flakes, and of course, salt and pepper. 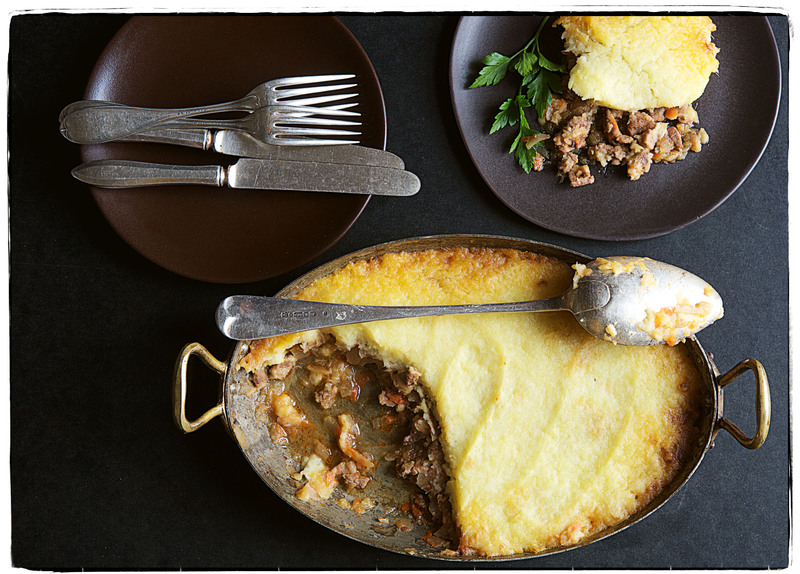 When the lamb was tender, we spooned a layer of mashed parsnips and potatoes on top, brushed it with butter, and let it bake and bubble in a hot oven. Twenty minutes later, shepherd’s pie! Cook something delicious for yourselves this weekend, dear friends. And don’t forget to “spring forward”!